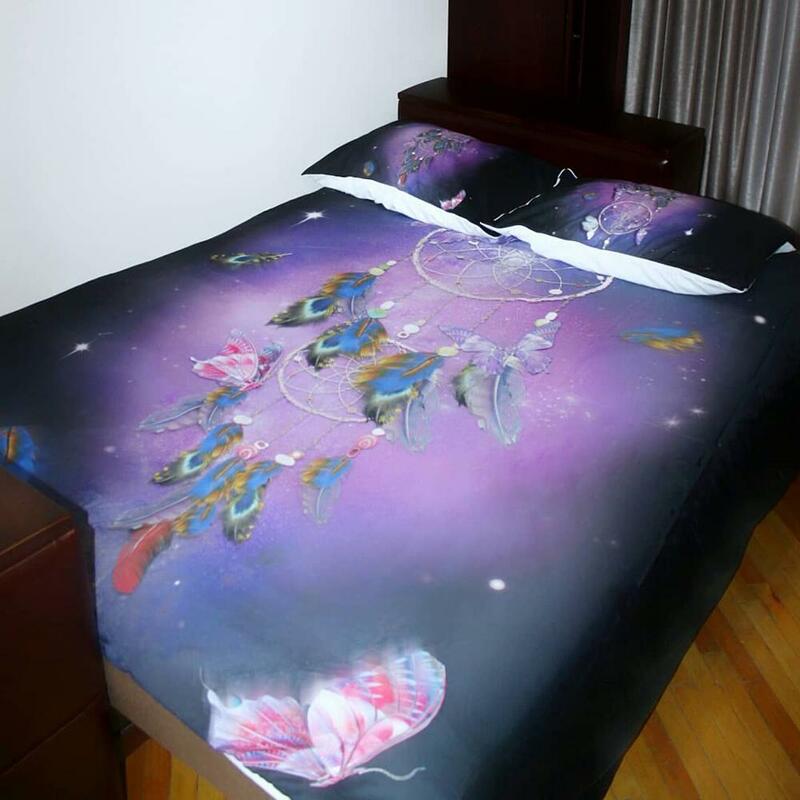 Features: Our butterfly and dreamcatcher bedding sets are a blend of vibrant colors. 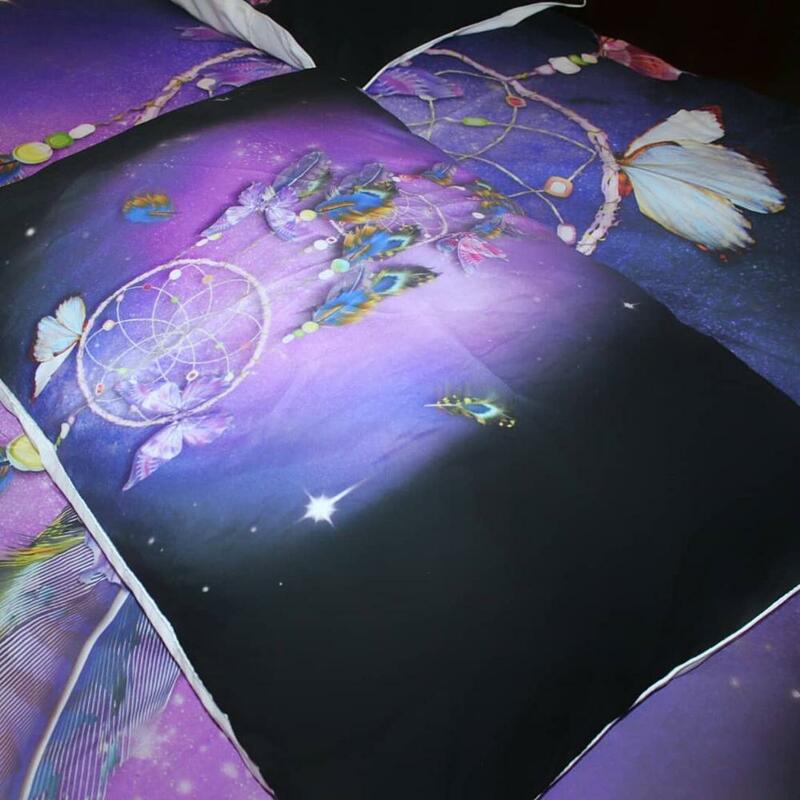 They can transform a room from bleak to bright and cheery in a matter of minutes.Turn your home into a haven with our beautiful bedding collection. 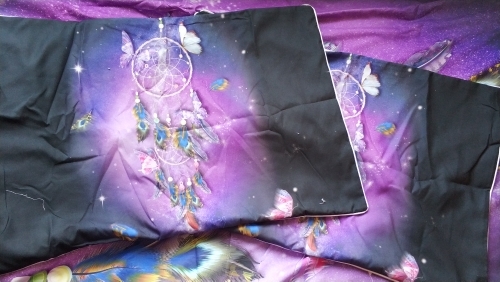 Set AU Queen consists of a duvet cover 210 * 210 cm and two pillowcases 75 * 50 cm. 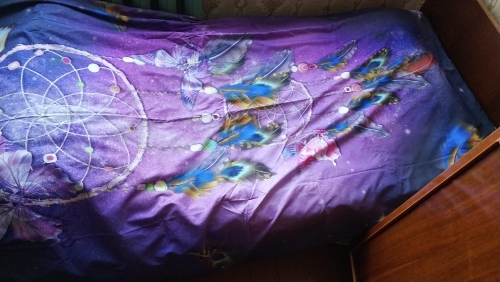 Duvet cover on one side with a print, on the other hand, white. Seams are not visible, they are closed around the perimeter with a white ribbon, looks pretty thoughtful. A huge plus for a cut in a quilt! It is long and with a zipper. this kit was washed at 40 degrees in the stilalki, Color did not shed, it did not change, the white did not turn gray, which I was a little afraid of. All OK.